Figure 4: Conveyor Supports And Support Brackets. Removal and Installation of the Upper Support, Quick-Release Pin and Handle. NOTE: All item numbers refer to Figure 6. 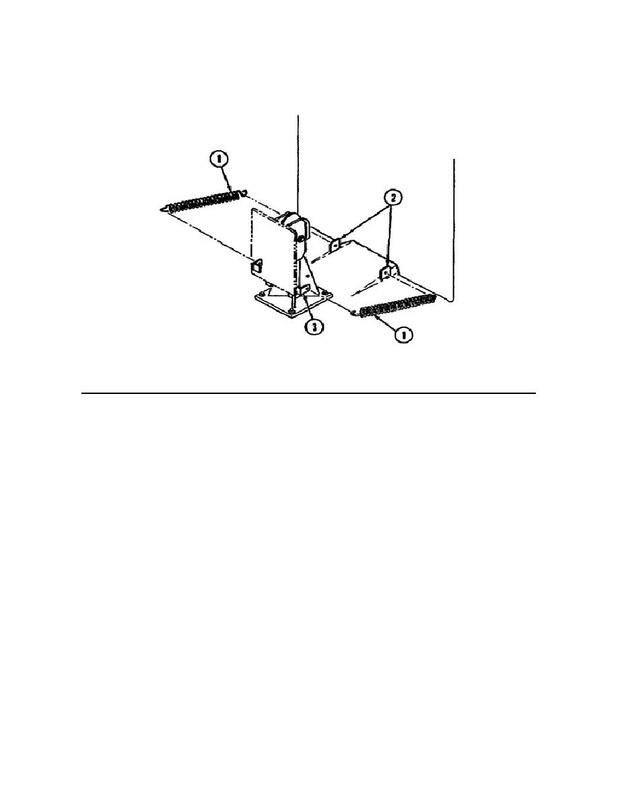 NOTE: This procedure applies to both conveyor support assemblies. pin (5), chain (6), and S-hook from the collar. with the hole in the upper support section (10). and separate the support sections. S-hook (7) at the chain end. open the other end of the S-hook.